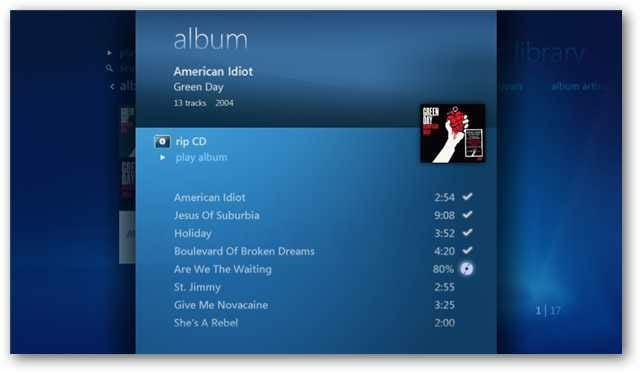 If you’re a Media Center user, you already know that it can play and manage your digital music collection. 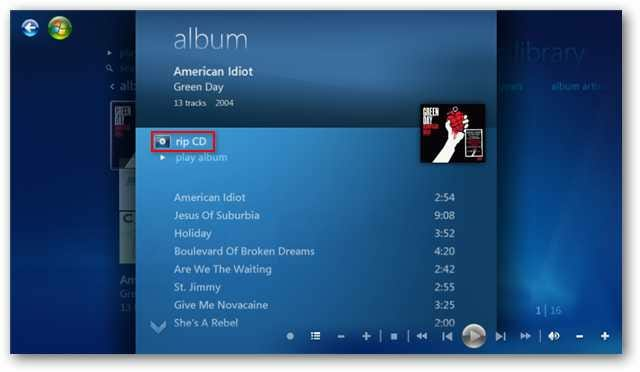 But, did you know you can also rip a music CD in Windows 7 Media Center and have it automatically added to your music library? Place your CD into your optical drive. 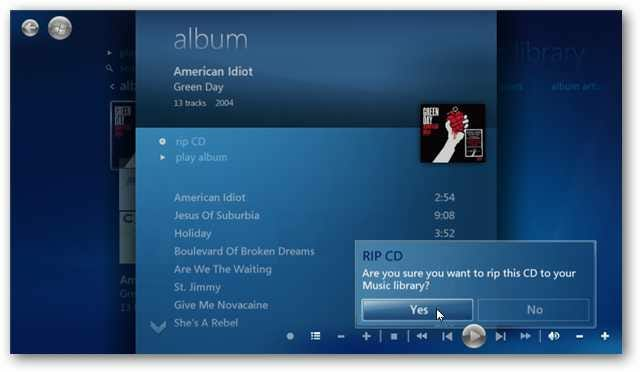 From within Windows Media Center, open the Music Library and select the CD. 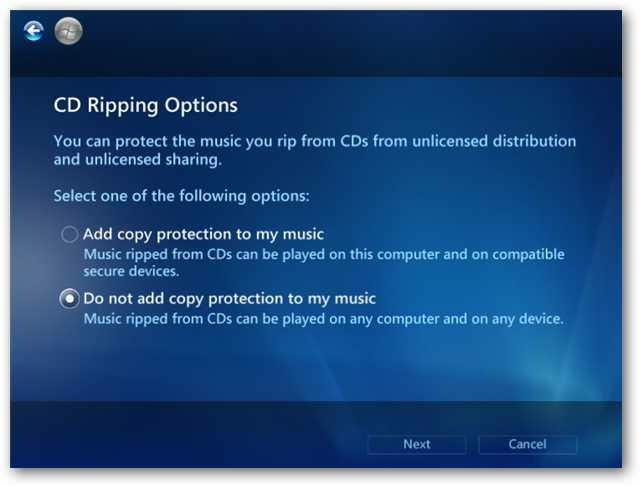 If you haven’t previously ripped a CD in Windows 7 with either Windows Media Center or Windows Media Player, you’ll be prompted to select whether or not you’d like to add copy protection. Click Next. By default, your CD will be ripped to .WMA format. 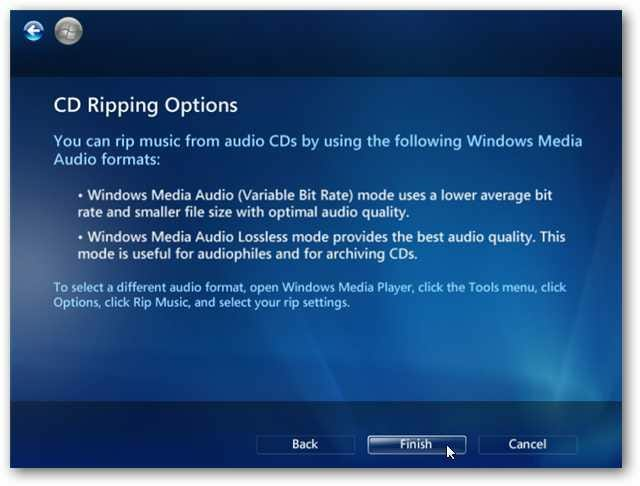 The rip settings for Windows Media Center are pulled from Windows Media Player. 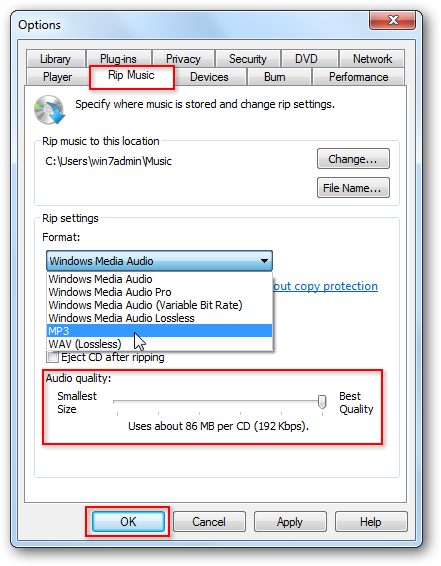 So to change the rip settings, we’ll need to do so in Media Player. Click Finish. 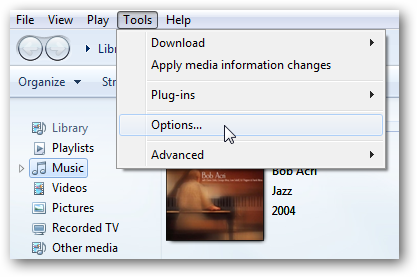 From within Windows Media Player, click on Tools from Menu bar, and select Options. 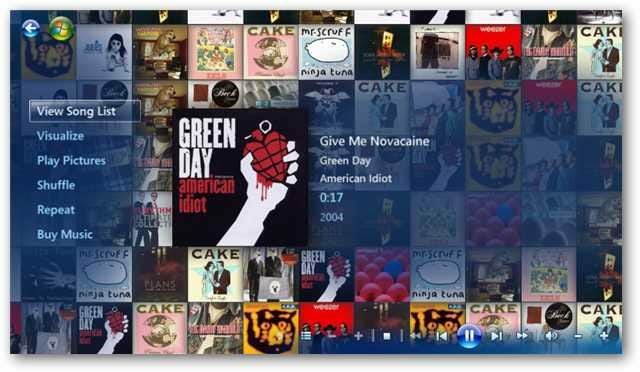 If you are new to Windows Media Player 12, check out our beginner’s guide on how to manage your music with WMP 12. Select the Rip Music tab and choose your output format from the Format drop down list. You can also select the Audio quality (bit rate) by moving the slider bar under Audio quality. Click OK when you are finished. Now, you are ready to rip your CD. Click on Rip CD. Click Yes to confirm you want to rip the CD. You can follow the progress as each track is being converted. 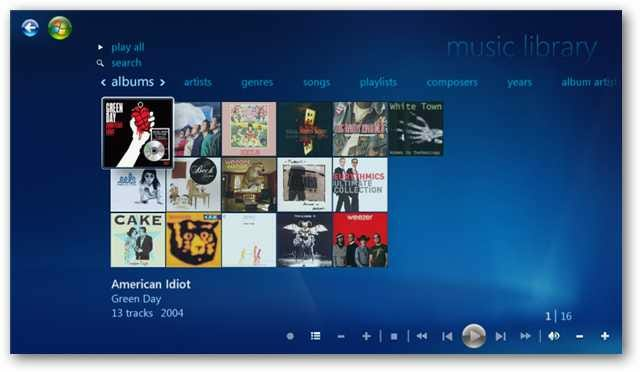 When the CD is finished you’re ready to start enjoying your music any time you wish in Windows 7 Media Center. Looking for some more tasks you can perform in Media Center with just a remote? Check out our earlier post on how to crop, edit, and print photos in Windows Media Center.